Although February can usher in some of our coldest temperatures of the year, it’s also the beginning of the planting season for many different foods! It’s also a great time to start planning your garden for the year and ordering seeds. Our free iOS, Android, & Web app makes growing food simple and I’m going to talk about some of the things you can start planting this month in Oklahoma. Kale originates from Russia and laughs at our “winters”. It can be planted in the fall to overwinter, and it can also be planted again starting in February. Planting kale is as simple as scattering some seeds in your garden and keeping them watered until they sprout. Spinach grows much the same way and can also be started now. Both of these greens are packed full of nutrition and help with a variety of health issues. Lettuce is another cool-season green, but doesn’t handle the cold quite well. I usually start planting lettuce at the end of February as the nights warm up a bit. February is also prime time for planting onions. There are a few different ways to grow onions, but most people generally buy packs of transplants from the nursery. Use a pencil or stick to poke a shallow hole in the dirt and drop the onion in. Keep them well-watered for a few weeks and they’ll produce full-sized bulbs by June. You want to avoid planting fruit trees and berry bushes too close to the heat of summer so the end of February is a great time for those. We seem to always have at least one beautiful weekend in February and that would make a great time to add apples, pears, raspberries, or blackberries to your yard! 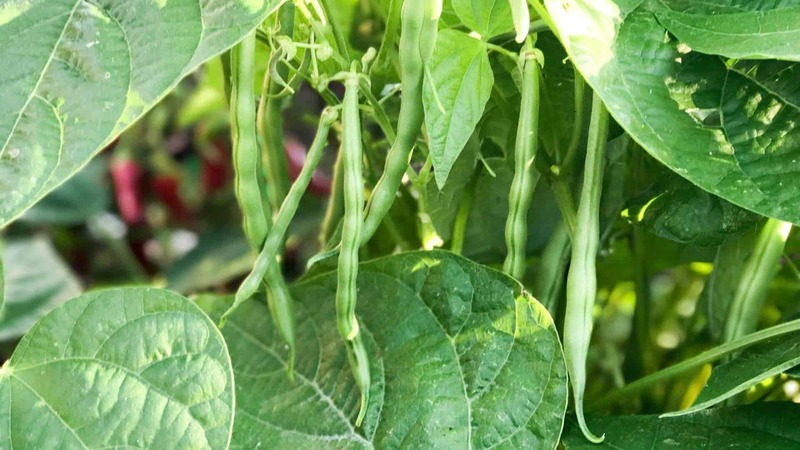 Most plants can be outdoors by simply spreading seed, but there are a few foods that are generally started indoors and transplanted here in Oklahoma. Broccoli, cabbage, cauliflower, and Brussel sprouts are usually started indoors because our window of opportunity for optimum growing temperatures is pretty short. Some varieties can have a growing season of up to 4 months and our temperatures get too hot before they’re able to produce. An indoor grow light setup can be built for less than $150 (check out our website for details), and you can also buy transplants at nurseries and garden centers. February is also the time to start shopping for seeds and starting tomatoes, peppers, and eggplant indoors. Don’t forget you can use our free iOS, Android, and Web app to shop from over 1500 varieties from Burpee, one of the most trusted names in seeds since 1876. We’ll help you filter their huge list of seeds down to the varieties you care about and we’ll guide you through growing your own food From Seed to Spoon! ⟵How to Grow & When to Plant Kiwi in Your Backyard Garden! It seems odd that you can describe vegetables to be planting in Oklahoma, as if it applies to the entire state. In California, the distinct regions are so much smaller and so numerous. What is relevant in the Santa Clara Valley may not be relevant in Santa Cruz, and may not be relevant in the Los Angeles region. We grew kale in our urban garden two years ago and didn’t die over our New England winter and came back last spring to our surprise. Despite a milder winter here it died. I’ve heard that kale has a two year cycle and the seed pods are produced in the second summer. Do you keep yours in the ground or pull it out before the second season. Wondering if there is any benefit (besides seed pods) to keeping it in the ground a second year. Thanks for any insights!